Normally parties occur for a reason – a special birthday or anniversary, an engagement or a special achievement. Let us help to create an occasion to remember for years to come, ensuring that guests remember why they are there, by personalising the event appropriate to the occasion. We appreciate that often parties are for more than one generation as several members of a family maybe celebrating at the same time – we can create different zones - with the WOW factor - which will appeal to different aged guests! 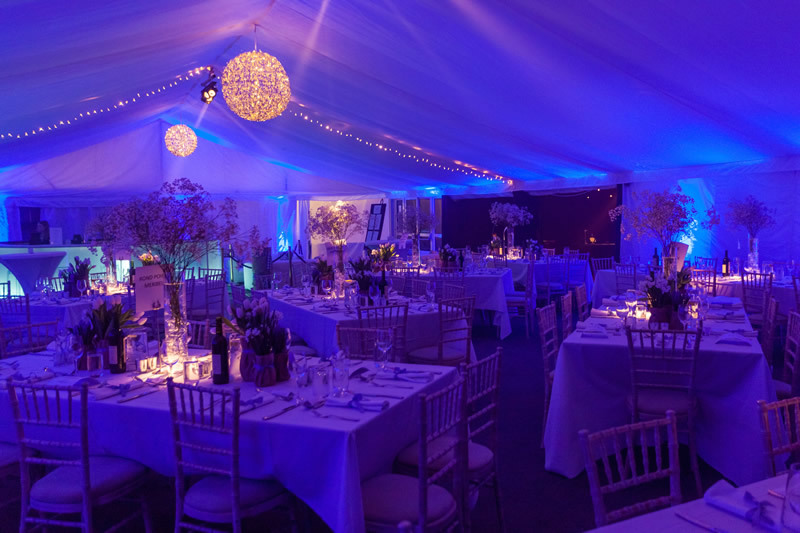 We’ll consider all the detail and, for example, if it’s a birthday party liaise with the caterers to have numeral appropriate cheese sablés amongst the canapés, we’d suggest that marquees are decorated in vivid colours with incredible lighting so that there is no resemblance to a wedding! We love liaising with designers to create personalised invitations – they needn’t be on paper – how about sending out mini cricket bats, bottles with personalised labels, wellie boots! Then there’s the fun of creating the seating plan, the placement at the tables, the table names, the all important spell-binding entertainment, sufficient outside lighting for the guests as well as behind the scenes for the caterers loading their vans, and all the while we’ll be on site managing the event so that you can relax and enjoy your party of a lifetime!